I don’t really understand the reason behind keeping a chat feature in Facebook. I know it’s meant for instant messaging! But, then what are Instant Messengers for? Facebook isn’t an IM, it’s just a social networking website. There are several reason why I hate the Facebook chat feature. Firstly, it’s buggy! 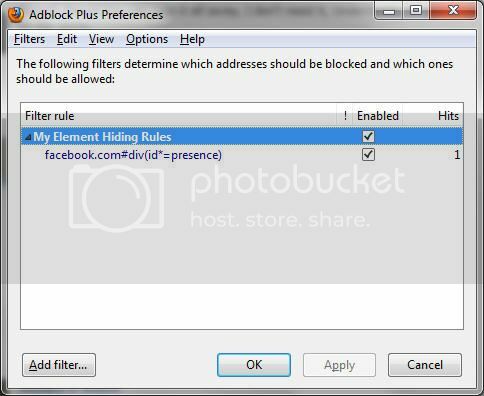 If many Facebook windows are opened in Firefox, you’ll not be able to send messages. You need to minimize and maximize the chat box everytime you type a message. Another reason, some people keep bugging you. 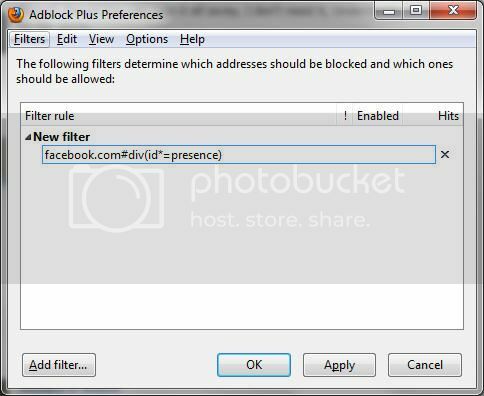 Well, if you are a person like me and would like to remove Facebook chat feature then here’s what you do. You need to install Firefox if you don’t have it as this trick will work only on Firefox. 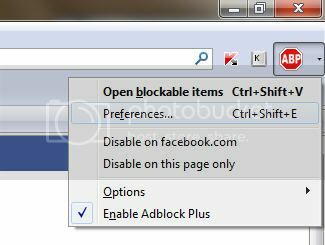 Install the AdBlock Plus addon and restart the browser. Now, open Facebook in a new page and login with your ID. On the right hand top corner, click on the ABP icon and choose ‘Preferences’. Once done, click on ‘OK’. It should look something like the above. 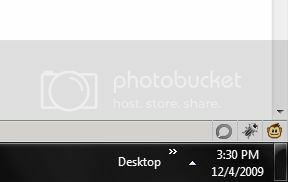 You’ll immediately notice that the Chat box and the toolbar have disappeared. Voila! The chat feature is permanently removed.